MARGATE – Two community groups may be collaborating to hold a candidates’ forum ahead of Margate’s May 14 non-partisan election. Four candidates have filed petitions to be elected to the three-member Board of Commissioners. Incumbents John Amodeo, Michael Becker and Maury Blumberg are running as a team, with resident Calvin Tesler challenging them. 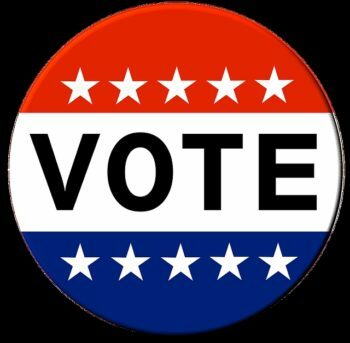 The Margate Business Association, which has conducted candidates’ forums in the past, and the newly formed Margate Homeowners Association are considering co-sponsoring a meet the candidates forum for the general public, but no arrangements have been finalized at this time. The homeowners association is a non-political organization open to primary and secondary homeowners and renters. MHA President Jay Weintraub said knowing what the city’s future leaders stand for is important for all residents, and holding a forum is a way for the group to do something good for the community. “We would like them all to come in and answer some questions posed by the public,” he said. He envisions a format where questions are prepared ahead of time so there are no surprises for the candidates, and the forum moderated by local journalists. “They can tightly monitor it and then we can open it up for general questions and answers, allowing the candidates to share their visions for Margate,” Weintraub said. Meanwhile, MBA President Ed Berger said the business association has conducted candidate forums in the past with the help of the non-partisan League of Women Voters, who ensure the forum is impartial. Berger said he would be in touch with Weintraub this week to see if the two organizations can work together on the project. “I haven’t spoke to Jay yet, but we will be in touch,” he said. Weintraub said he would like the forum to be held on a Saturday in early May so both voters and non-voters can attend. As of Monday, Tesler was the only candidate to commit to attending the forum. Weintraub said the incumbents would decide this week if they will participate.